If you are diagnosed with hearing loss, you’re not alone. Many people each year suffer hearing loss and treat it by beginning to wear a hearing aid (or sometimes two hearing aids). But there are lots of different hearing aid models, and choosing the best one for you can be very confusing. Talking to your audiologist can help you pick out the right one, but some things are just a matter or personal preference. Read on to find out about some different styles and features to choose a hearing aid that’s suited to you. There is a range of additional features that your hearing aid can have. Some of them have existed for a while, such as volume control and directional microphones. But others are more recent and technologically advanced, like the ones Widex has come up with. For example, one of their products is a hands-free device that streams audio from the user’s phone or another audio device to their hearing aids. These are things that you should consider once you work out which style of hearing aid is best for you. A completely in the canal or CIC hearing aid goes right into your ear canal. 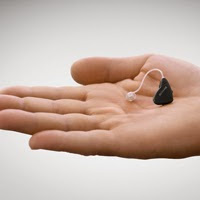 People most often use these hearing aids for mild to moderate hearing loss. Out of all the hearing aids available, it’s the most discreet type. Their small size is a plus for people who don’t want their hearing aids to be visible. However, they aren’t big enough for special features. For example, there is no room for a directional microphone. Another option is a hearing aid that sits in the ear canal, but not completely inside. An in the canal aid is custom molded and treats similar levels of hearing loss to a CIC. It is also more discreet than some larger sizes, but since it’s not completely in the canal there is room for features that a CIC can’t have. People with most types of hearing loss can wear a behind-the-ear hearing aid, which fits behind your ear, with a tube connecting it to a molded piece in the canal. Although they are more visible, they can amplify better than other model and are sometimes more cost-effective too. A receiver in the canal (RIC) or in the ear (RITE) hearing aid is similar, but a wire connects the two pieces. The part that sits behind your ear is smaller. An open fit hearing aid is also similar to a BTE one. Because it doesn’t block the ear canals, low-frequency sounds can come in through the ear while the aid amplifies high-frequency ones. It’s suitable for people with hearing loss that is mild to profound, less obvious to the eye than other models and won’t block your ear, so it sounds better when you speak. If you have mild to severe hearing loss, you might consider a hearing aid that sits in the ear, but not in the canal (ITE). They can be fit into your outer ear in two different places. They can have extra features because they don’t need to be small enough to fit inside the ear canal. This style is more visible, but it’s usually easier to put on than other types. It may take you a while to find the right hearing aid for you, but don’t rush to buy one. Ask if you can trial the ones that interest you to get a proper feel for them.